Welcome to Part II of our Italian Pasta Classics series, where we share the very best in traditional pasta dishes for your viewing and eating pleasure. 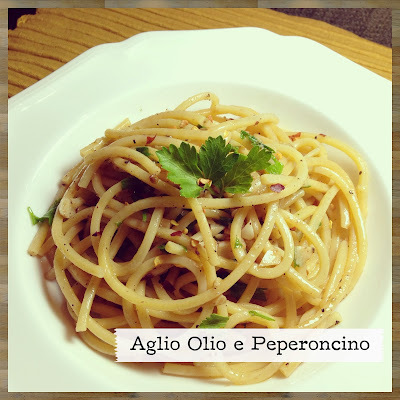 Today, we want you to know about Aglio Olio e Peperoncino - or pasta with Olive Oil, Garlic and Crushed Red Pepper. This rustic, peasant meal has been claimed by much of Southern Italy. 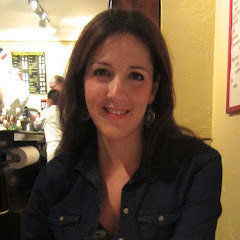 A few sources believe it originated in Abruzzo, but the jury is still out. Let's just agree that this ever so simple dish belongs to the nation itself, and that in the pantheon of authentic pasta recipes, it is most certainly one of the greats. The anchovy fillets melt into the oil as you warm it and become virtually undetectable. If you use good quality imported anchovy fillets, ideally packed in oil, I can assure you that the finished dish will have absolutely no fishy taste. 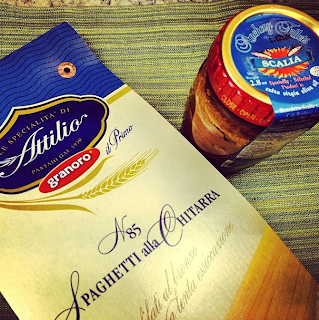 The anchovies themselves lend a complexity to the flavors that is, I believe, absolutely essential. Still, you are more than welcome to make this recipe without them, but I happen to think you'll be missing out! Some (questionable) recipes also call for grated parmigiana or pecorino, but I don't recommend it. You could make this dish with regular spaghetti, linguine, or any other long pasta. We opted for Spaghetti alla Chitarra. Cut on an implement called the Chitarra (it is strung with wire much like the eponymous guitar), the resulting pasta takes the form of long, thin ribbons with square, rather than rounded edges. Why make Aglio Olio e Peperoncino? It is easy, fast, delicious and cheap! Feeding a family of four for well under dollars 10 is no problem with this recipe. ~This meal was made in loving memory of Grandma Peg who will be dearly missed. 1. Set a pot of salted pasta water to boil and then cook the pasta according to package instructions until it is almost al dente. Drain, reserving about a 1/2 cup of pasta water. 2. In a very large skillet, warm the olive oil over a medium flame. Add the anchovy fillets and let them cook until they dissolve fully into the oil. You can use a wooden spoon to stir and help them along. 3. Once anchovies have fully dissolved you can add the garlic. Lower the heat to low so that garlic does not burn. Add the crushed red pepper as well as the black pepper. Cook the garlic for a few minutes (about 3) taking care not to burn it. 4. Add about a 1/3 cup pasta water to the pan. Add the cooked pasta, and toss on the parsley. Turn up the heat a bit and toss the pasta in the skillet for 1 or 2 minutes until everything is coated. Season with additional black pepper and taste for salt. Add more only if needed. Serve immediately with a sprig of parsley and enjoy!